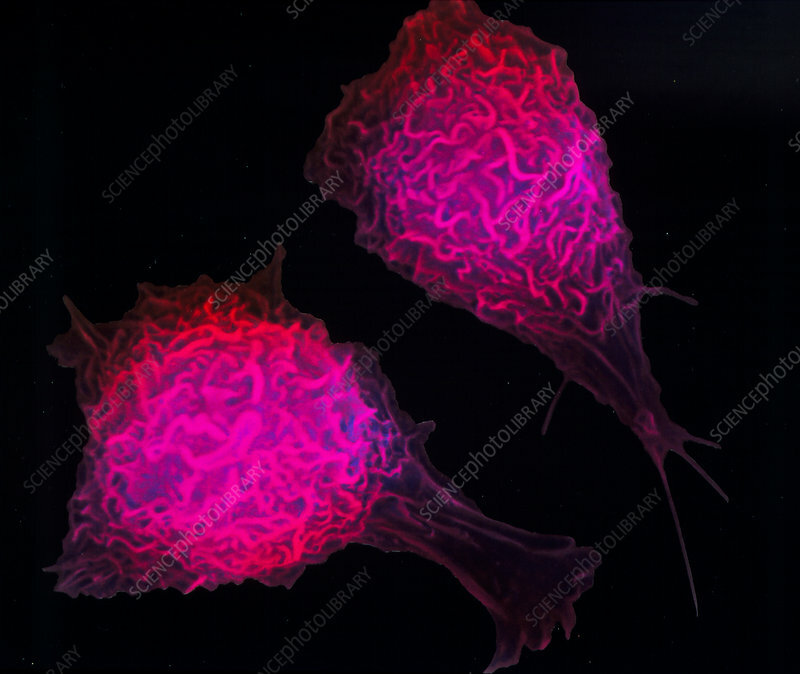 Macrophages. Coloured scanning electron micrograph (SEM) of active macrophage cells. In the active state the cell surfaces appear frilly and these "frills" spread out as projections to draw the cells along the substrate as they seek and engulf particles. Wandering macrophages are monocyte white blood cells from circulating blood that defend the body against invasion by foreign organisms. Macrophages migrate to tissues such as the lymphatic system and lungs. Some types migrate to sites of infection to prevent bacteria taking hold. Macrophages can also detect foreign subst- ances at the initial stage of the body's immune response. Magnification: x1,500 at 6x7cm size.